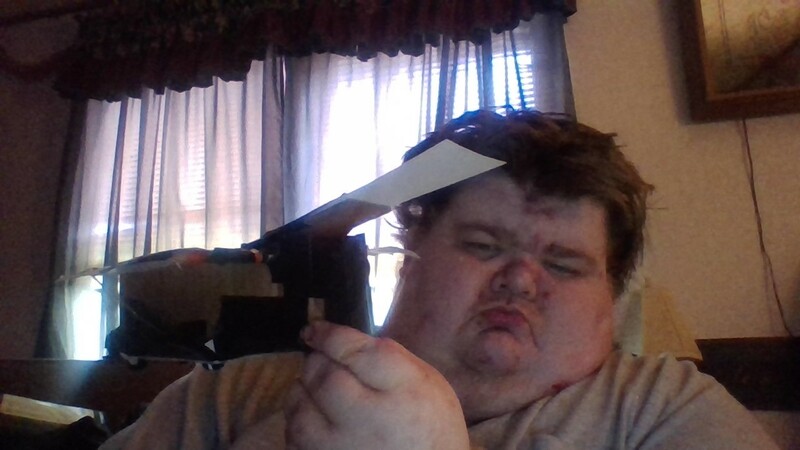 I am going to look for foam board the next time I go to Walmart or the Dollar Store, but the great members on forum have shared with me history of flight and I something I was reading about Gustav Whitehead, if it be true or not, but I like the No. 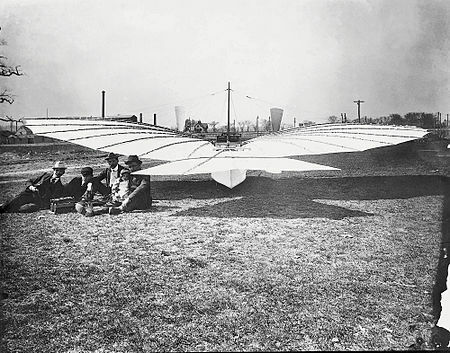 21 design, but others have said it is way to challenging for a build and build a P-51 or something, I flew those and loved them, but I also love history, but have no idea what it would take to make a scale model of this flying machine or what would you say on how to build this historic Monoplane? 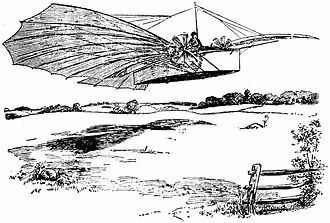 "The No.21 was a wire-braced monoplane with bat-like wings and triangular horizontal tail. There was no vertical fin, and lateral control was intended to be accomplished by shifting the pilot's body sideways. The fuselage was of rectangular box section with constant height, curved to taper inwards at front and rear when seen from above. Four small wheels were fixed to the bottom." It was a Twin Engine, but not how we think of them, one was just to taxi and just sat there when flying. The Second engine was what it powered the plane in flight. Finding a 3 view or plan details is the biggest hurdle you face. The guy wires can be done using braided fishing line. The wing ribs are going to be difficult unless you have access to long BBQ skewer type bamboo or even something like CF but shaped to hold the appropriate curve. Heck you might be able to use the ribs out of a damaged umbrella and curve them more permanently. The covering material could be ripstop nylon or even the old style tissue paper with dope. 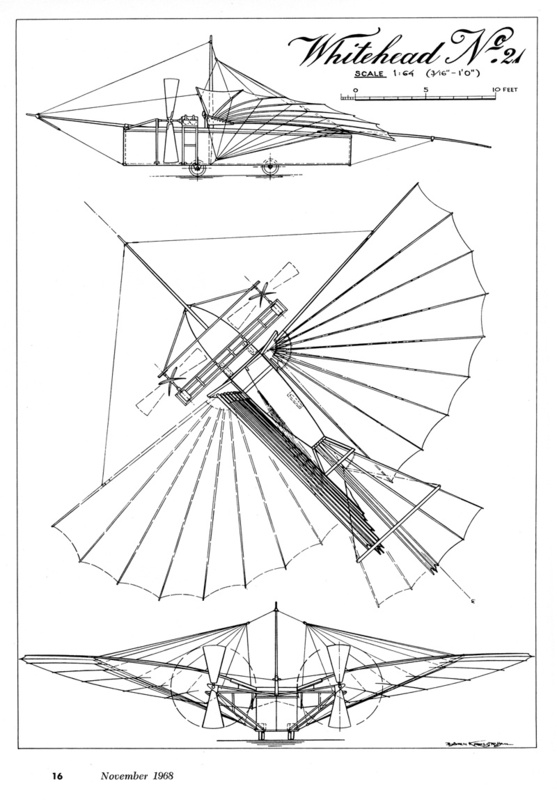 The shifting of weight could be achieved using a lead pendulum pushed or pulled by a servo, (I would also suggest a clear plastic rudder at the rear of the cockpit to act as a supplementary and invisible rudder for any test flight program. As all of the guy wires secure at fixed points then you could also cheat with a little wing warping if the need arose. Suggest you think of it as a twin engine design driving the propellers in the original position and make a balsa dummy ground drive engine. Interesting project but whilst I would love to be involved in a build I am already about 5 years behind on the current list! If I can help or advise I will. @Hai-Lee where to look for blue prints for this bird? found a bigger and up close photo. This thing would definitely be a challenge but I respect people that take big bites. Some video of a flying full size craft from 1997. Some plans from Dave Prochnow. And additional close up video of a full size replica. Some sort of plans behind the Pinterest wall. Maybe some better plans on RCGroups. @cranialrectosis dude, look at the bottom video and pause it when it comes over the part where u stand or sit, that is weird. the ribs suppose to be bamboo fishing poles, the design for the body, comes from a H.M Philips wing design, the shape of the curves. @Josh Bixler might need some help on how to build this. I found it facinating when reading about it and now want to build it. 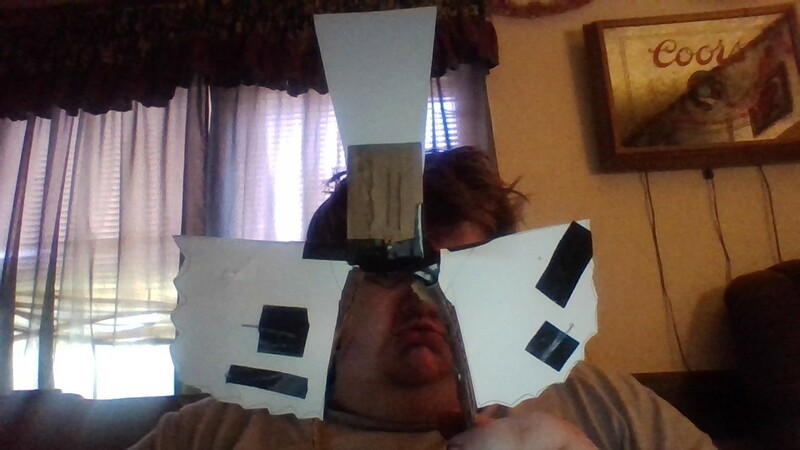 @cranialrectosis the bottom link had the plans for free pdf, printed them, just studying the bottom video, the rods on the wings and body look to be the hardest. I don't know how hard it is to make the H.M Philips wing design for the part the pilot and engineer stand or sit. 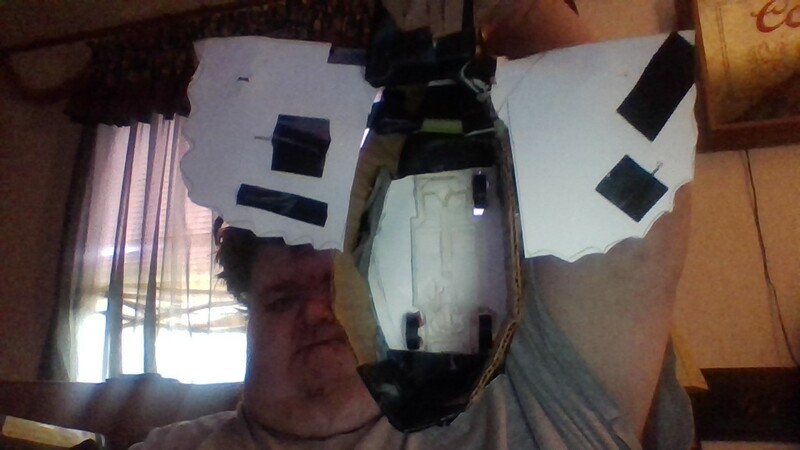 Then to make it RC, where to put the controls with such soft wings and tail, the tail is flat, no straight up and down piece. 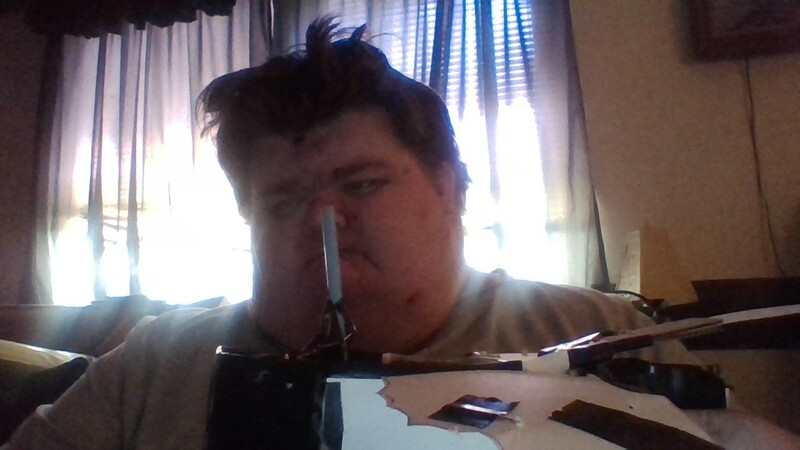 @Josh Bixler sir I'm on disability, work with my hands, so electronics may be a tad expensive for a guy on limited budget, any help there would be great. This thing full size is only 16 feet, but over 500 Pounds, so I don't know if we want to do a life size RC version. 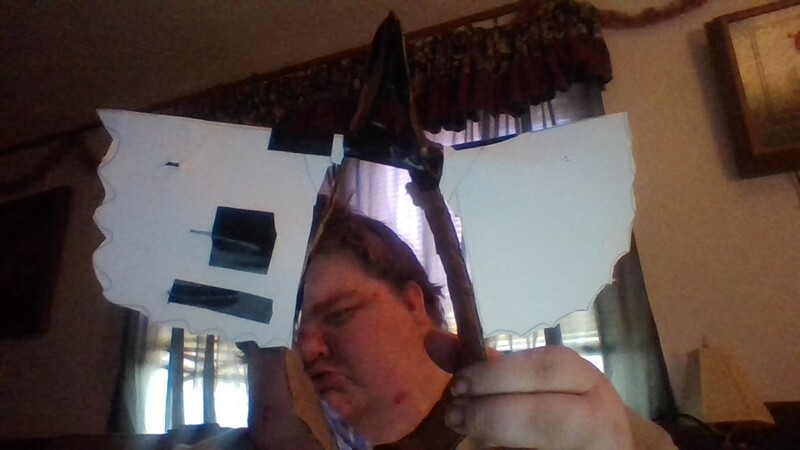 I would recommend starting out by mocking up a model no larger than 24" across and I would use balsa sticks and white glue with tissue paper and dope (or white glue mixed with water) to cover it. Go small and go cheap to learn the airframe and get a 'feel' for assembly. If this is too challenging, try the little model from Dave Prochnow. It's about $12 plus shipping and (I think) you also get a Wright Flyer. I always find it simplest to do things like this in stages when I start out. Thanks @cranialrectosis will do. That is awesome on that little model, great price. 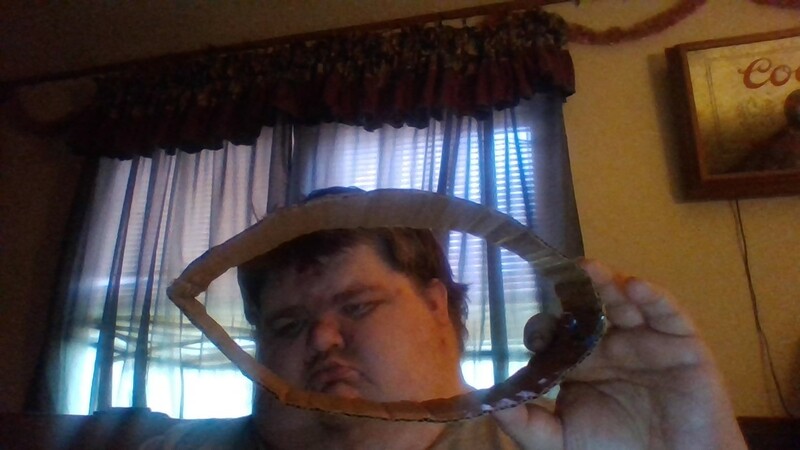 @cranialrectosis hey u got a link for Dave, can't seem to find it when I searched. 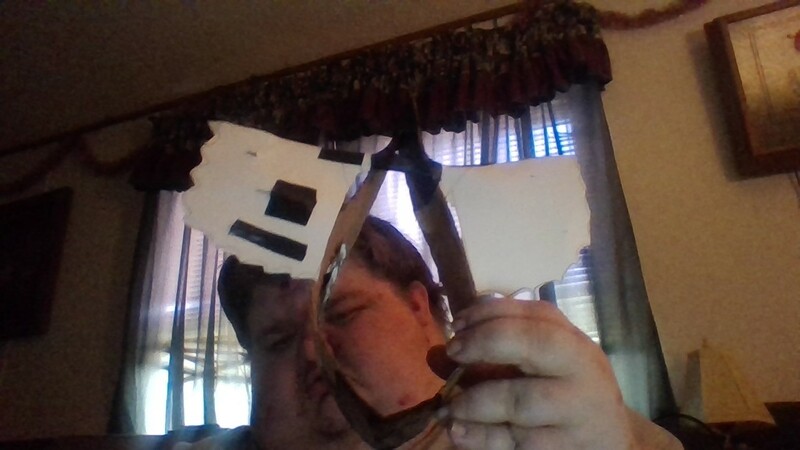 @Hai-Lee @cranialrectosis @Josh Bixler Got the body being glued together and holding with paperclips till glue dries. I found pencils and colored pencils for the rods, and cardstock paper for the wings and whatever else. Between the two videos I posted earlier. Sorry I misspoke on the Dave Prochnow comment. He is offering plans not models for 13" versions at that link on flyingscalemodels.com. 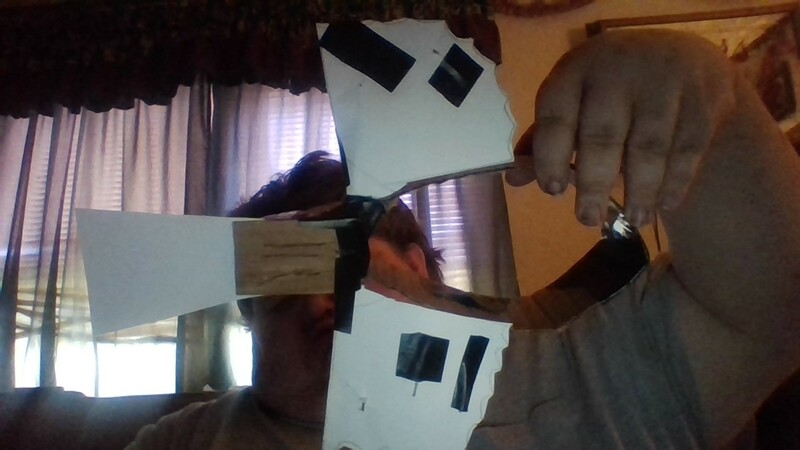 no problem, when you said the link, it made sense, so far got this, having to use Gorilla Tape to hold the parts I've glued and to hold the straighten out paper clips for the two wing rods. 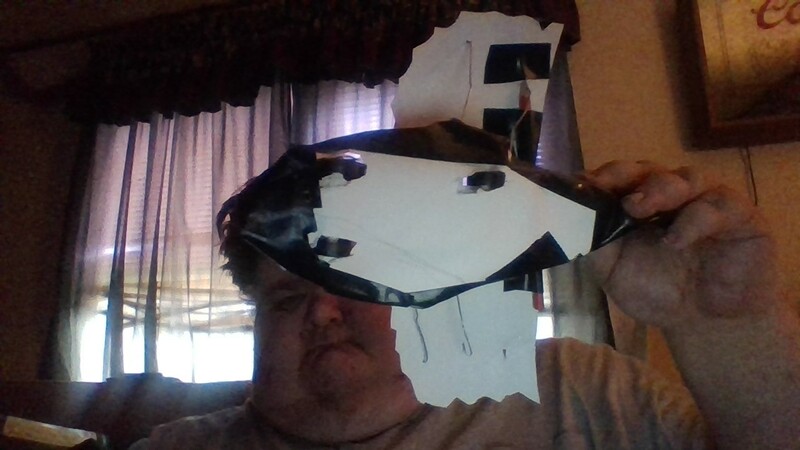 Okay got the wings and tail on, doesn't look the best due to the black tape. @cranialrectosis what to do? I got a few more rods to put in and some more wire it shows in the video, that will make it super heavy, if we did do motors, eletronics, will have to be a lot of power. No wonder the real one weights so much.